‘Mobile eCommerce‘ and ‘Content Marketing’ strategy are the perfect ingredients for a success recipe. Seeing the business possibilities, mid-sized and small-sized businesses are making efforts to create content for their niche audience. Since the content marketing industry will touch $300 billion mark by 2019, there’s no reason left in not pursuing the task. 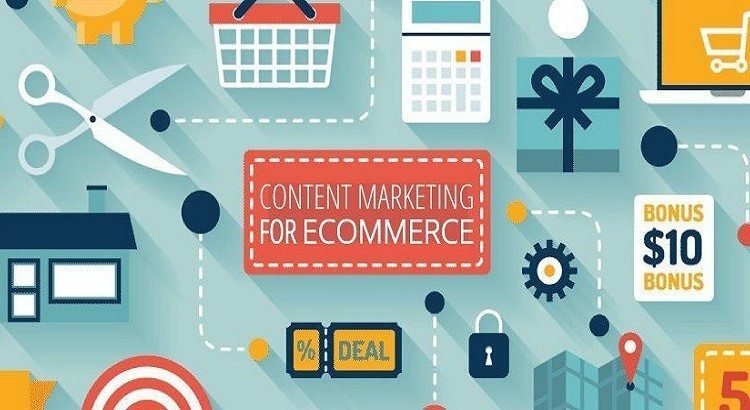 eCommerce and Content Marketing can be defined correlated for better business operations. It wouldn’t be wrong to say content marketing as the backbone of eCommerce promotion. GoPro is a prime example. If you read GoPro content strategy or in-depth case study, you will realize how the world of content marketing is evolving, which eventually is helping eCommerce one or the other way. This trend will continue to grow in 2016 and beyond because nothing can beat content in any type of business category. Content rules them all. If the rumors aren’t wrong, then in 2016, online retailers will separate content and content marketing. Since we are almost halfway through 2016, the effects can be seen globally about the true importance of content marketing. Unlike SEO and advertising, content creation and content marketing need different skill sets. Since the digital world is dynamic, online marketing goals often demand change as compared to other marketing mediums. A lot of giant corps. often outsource content marketing and creation to a digital agency, but do PPC, SEO, SMO in-house. The New York Times, The Wall Street Journal, and Condé Nast all outsource their content department, which will continue to push this trend further. However, not all do it. Sometimes, its reverse because creating content needs diverse writing skills, and ability to write a story which can whimsical in the ears of many. Aligned with video and photography team, the content team create content that influences readers and help the company to create a strong users base, especially on eCommerce and Mobile eCommerce platforms. eCommerce portals feel shortage of unique product description, and this problem will only grow in the future. With the amount of content asking for amazing product description in compare to the availability of quality writers in the world, marketers will seek other forms to do it. The answer lies in machine-generated content. Companies like Automated Insights are bringing things to the table (unique product descriptions) by using product source data and an algorithm to create machine-written unique descriptions. Through this, modern retailers will surely find some refuge in getting unique content for the product, because the problem was overwhelmingly huge in the market. Who doesn’t love seeing videos? Since smartphones have become a massive hit, users are looking exciting video content to consume as they can surf the web from anywhere, anytime. In the coming years, video content will account two-third of internet traffic, which is a clear signal for marketers to create additive content that can really influence users without forcing them to buy your products. Netflix, Hulu, or Amazon Prime Video; however, will remain the biggest platforms for the video content, which will only increase as the time will elapse. 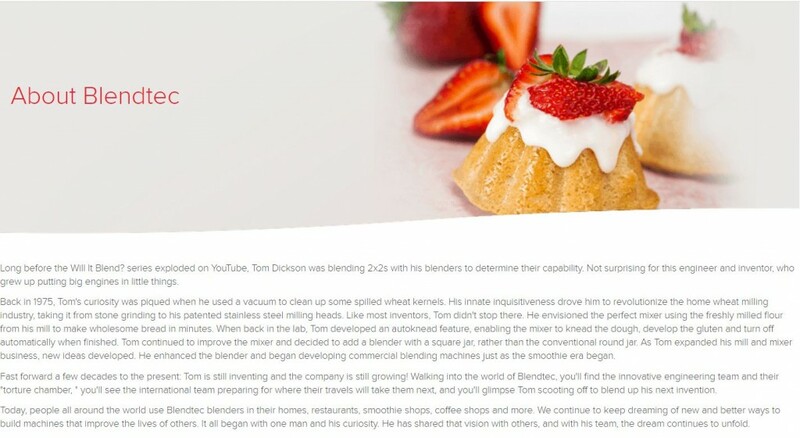 Blendtec, Inc. is probably a great example of the importance of video content. When YouTube was spanning its wings across the internet, Blendtec made a video about their product quality, and how much hard material it can crush into powder. The video became an instant hit, creating a solid image of the company among targeted customer base. Since then, the company has uploaded dozens of videos showing crushing of marbles, iPhone 6 Plus, Coke Can etc. Their tagline “Will It Blend” (of their YouTube Channel) relates with their addictive videos, which blends different things in each new episode. According to Cisco market report, video content will account nearly 70% of online traffic. The way Blendtec has used YouTube platform and created a strong base to sell their products by influencing the views through exotic video content is in itself a case study to go through. Content marketing’s effectiveness heavily depends on company’s focus and business strategy. Nevertheless, to gain success, businesses will have to stick with their niche and produce content for their significant audience. iFixit is a great example in this category. Offering more than 21,250 crowd-sourced repair manuals on the portal, iFixit creates various type of content and guides on various things such as replace of iPhone parts etc. the company also sells those parts while influencing users to self-do it. Since the content marketing is gaining buzz, as traditional media is losing its power to gain impressions or to cope up with the young generation; businesses are creating original and creative content for engagement and conversions. Since billions of content pieces are created and shared each day, not only companies, but even top-ranked marketers have shown their dissatisfaction regarding content saturation. In economic terms, the supply is exceeding demand, and a lot of companies are generating the type of content. How can it drive leads if they keep on doing that? GoPro; for instance, is a great example of how to influence users with storytelling without content saturation. Now there are a lot of companies selling the camera, but what makes GoPro special? They use their technology in storytelling and create stunning content, which comprises videos and photographs clicked at different angles to create curiosity. Moreover, they take their followers to the marine world and create a feeling of experiencing same and using GoPro to collect evergreen memories for their lifetime adventure.